You’ve heard quite a bit about the work done by the Faster Payments Task Force, but how much do you know about its composition? In anticipation of the release of the Final Report Part Two in late July, spend some time getting to know the Faster Payments Task Force. 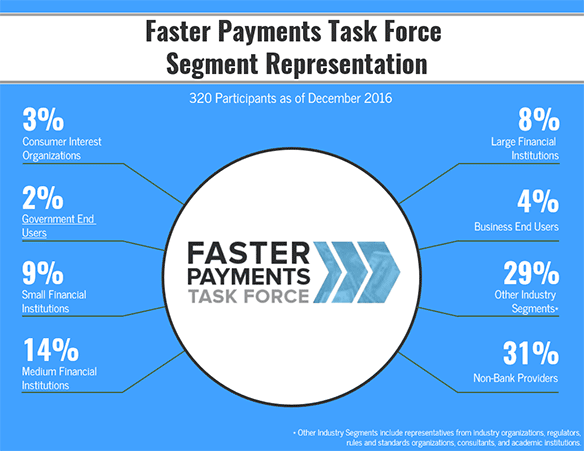 The infographic below outlines the different segments that comprise it and be sure to check out the Faster Payments Task Force member roster.